This year, we are working with Film Freeway to accept submissions. 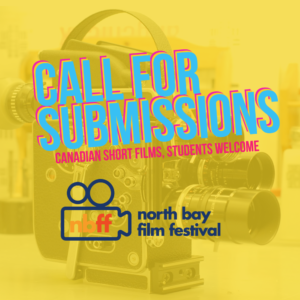 Open to Canadian Independent Short Filmmakers, and Student Filmmakers. 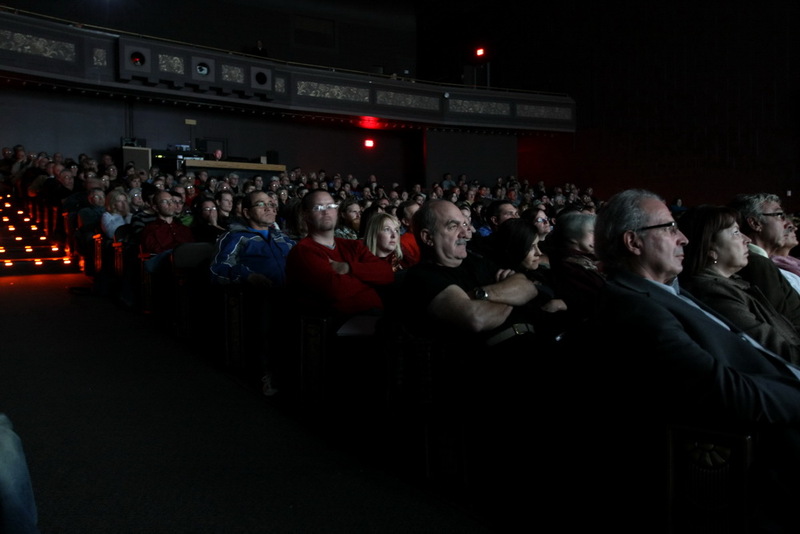 The person submitting the enclosed film to North Bay Film Festival confirms that he/she holds all necessary rights for the submission and has the legal authority to grant such rights to the Near North Mobile Media Lab hereunder and that he/she has read and understands and agrees with the Festival Terms and Conditions. Notwithstanding the foregoing, submission of a film constitutes the agreement with the Festival Terms and Conditions. In consideration of my application to the North Bay Film Festival, I for myself, my heirs, executors, administrators, successors and assigns, hereby waive and forever discharge Near North Mobile Media Arts Lab Collective., North Bay Film Festival, any related companies, their officers, directors and employees, Festival sponsors and suppliers, Festival sanctioning bodies and elected or appointed officials, all of their successors and assigns, of and from all claims, demands, damages, costs, expenses, actions and causes of actions whether in law or equity, in respect of loss or damage to my person or property howsoever caused, arising or said to arise by reason of my participation in the said event. I further hereby undertake to hold and save harmless and agree to indemnify all of the aforesaid from and against any and all liability incurred by any or all of them arising as a result of, or in any way connected with my participation in the said event. BY SUBMITTING THIS FILM, I ACKNOWLEDGE HAVING UNDERSTOOD AND AGREE TO THE ABOVE WAIVER, RELEASE AND INDEMNITY. Successful films selected to screen at NBFF agree to submit via industry standard digital formats (HD MPEG-2 MOVIE *.mpg, HD Mov – QuickTime *.mov, DCP) You will be responsible for delivering the screener no later than 2 weeks before the festival opening night. For submission purposes, filmmakers must submit via Film Freeway and your link must be in working order. We will not contact or follow up with filmmakers to resubmit broken links to the jury. We will not accept links or solicitations to view films via email. We will not accept incomplete or works in progress. All applicants will be contacted to the status of their submission once the jury has made their final selection. REQUIRED FORMAT FOR SCREENING — Unless otherwise agreed upon, and arranged, ALL accepted films will be screened at the Film Festival in HD 1920 X 1080 (HD MPEG-2 MOVIE *.mpg, HD Mov – QuickTime *.mov, DCP). NOTICES — North Bay Film Festival reserves the right to remove and take down film content without notice if any content is in violation of any of the terms or conditions of this Agreement or for any reason seen fit. You give permission to the North Bay Film Festival to host and use your content, and grant a non-exclusive, worldwide, perpetual and royalty free right and license to use your content in connection with any promotion offline or online through our festival website, partner networks, broader marketing of the event via television, radio, social media or similar, and through mobile phone networks, and any legitimate and reputable promotional outlet.